Every year we get more Christmas based television, maybe its a one off special, or maybe its another episode in a long running series, either way we all have our favorites and here is just some of mine. The fact that the creative team behind community hate Glee used to annoy me, because at one point I watched that show, but turning that hate into a parody of musicals that really won me over. The Christmas-themed episode is a musical featuring original songs performed by cast members. After Greendale’s glee club members become incapacitated, the study group is asked to join. Despite their dislike of the club, each of them is lured into joining after their vulnerabilities are exploited. The highly satirical episode is full of humor and pop culture references making it one of the best reasons to watch community. A classic friends episode which involves Ross wanting to introduce his son Ben to Hanukkah but Ben has always loved Christmas. In what Ross thinks is a desperate bid to prove to Ben that Hanukkah is a great holiday Ross ends up renting the only costume he can and the outcome is pretty hilarious. 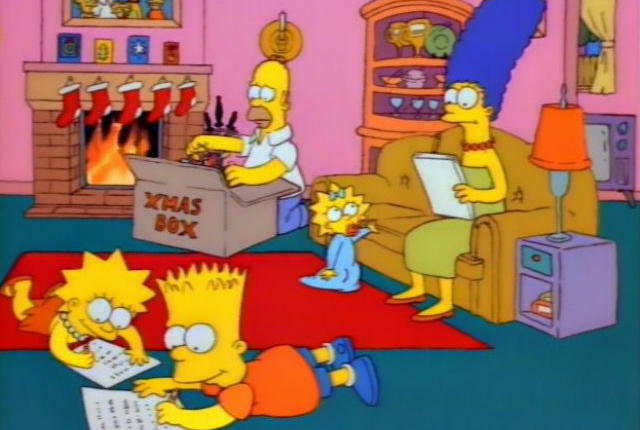 Look this one is a classic, it kicked off the Simpsons and I don’t think they have ever made a Christmas episode that can top it, so ye it made it into my top 10. No I didn’t pick this one because I love puns, in the end this is a really bitter sweet tale and as a kid it really stuck with me that just maybe I really should be grateful for what I got. Besides the episode see’s Wolverine save a kids life without hurting anyone. As Christmas approaches, people are disappearing up their chimneys and the only two guys that can stop it are having flash backs to their younger days. Supernatural is a show that come sometimes seriously surprise us and this one like X-men really made me feel a little, just this time I appreciated my sibling that little bit more. Coming into its 9th season you’d think that Mash had lost its steam, well this episode really proves you wrong on that one. 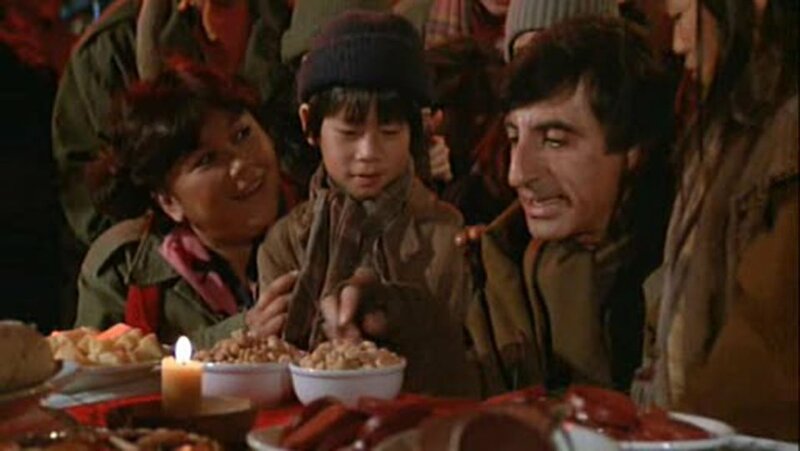 While local orphans attend a Christmas party in the mess tent, Hawkeye, B.J., and Margaret try to save the life of a critically injured solider so that his family won’t think of Christmas as the day that their father died. Seriously with a plot like that how can you not come out of this one feeling emotional. If you have not seen MASH you have been missing out an incredibly moving TV series, with some very funny moments it was an oddity and still is one of the greatest shows ever made. Gob has just assumed leadership of the company and is struggling to fit into his new role which leads him to throw one of the worst Christmas parties ever (Just look at his pre part speech above). The show delivers its usual ongoing silly jokes and great quotable lines, an instant classic Arrested Development episode. I love music so this needed to be hear plus I have a crush on Kirstin Maldonado, so ye what can you do. Jake gets trapped in a store with Boyle and Gina after it closes, and finds there is a robbery being committed by a team of thugs who take employees as hostages. This gives Jake a chance to play out a real-life version of the movie Die Hard. Ted’s quick thinking whilst lost in a department store’s lingerie department earns him the coveted Golden Cleric award. So why doesn’t he feel happy? Mrs Doyle’s attempts to hang up the Christmas decorations become undone around her. She’s also none too pleased at her Christmas present. Meanwhile, an “old friend” of Ted decides the time is ripe for a visit. When first shown, this hour-long episode attracted Channel 4’s largest ever non-film audience viewing figures.